Walker’s renowned college counseling process tries to guide each family to find the “Best Fit” for a great college experience after Walker. To assist in this process Walker’s College Counseling team – Robyn Johnson, Neil Clark, and Peter Sullivan – hosted many programs during this Winter/Spring for our families. A program where past Walker graduates came back and reflected on the college search process. 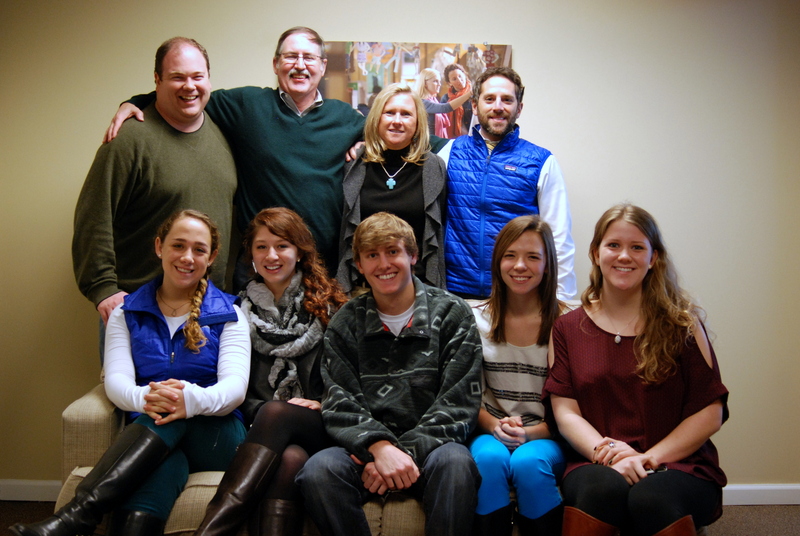 Upper School students gained valuable insights from our past graduates. Pictured here with members of the College Counseling and Alumni Association teams are Sarah Syrop (Brown University), Lauren Bobo (University of South Carolina), Austin Walker (Mississippi State University), Brielle Bowerman (Davidson College) and Melissa Pouncey (Wake Forest University). Mr. Ron Day, one of the nation’s top professionals in this field and is a past National Chair of the National Association of Student Financial Aid Administrators, gave a presentation on the entire financial process. Mr. Day’s program was titled “Financial Aid 101” and covered the entire spectrum of the financial aid process. 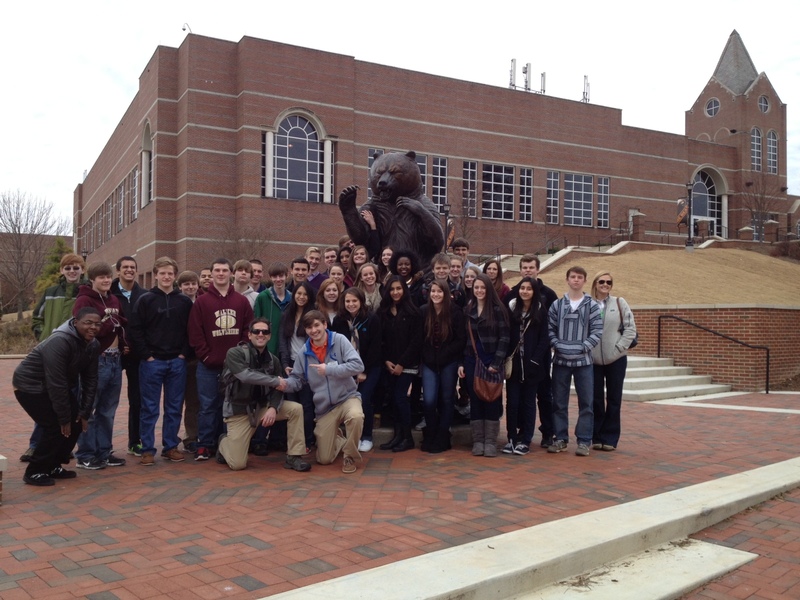 Students pose in front of the Mercer bear on the 2014 Sophomore Shuffle. During this meeting – Juniors receive their College Planning notebook and with their parents review the process and their choices – to ultimately find their “Best Fit”. Walker partners with a number of other Atlanta privates school to offer a mock admissions committee chaired by current admissions professionals and then followed by college fair of about 50 colleges. On Halloween, Peter Sullivan, Robyn Johnson, and Neil Clark emphasized the importance of the college visit. As I watched the many different events in the 2014 Winter Olympics, I thought of the words appearing in Walker’s mission and promise statement – the importance of valuing the experience over the applause. Many of the skaters, skiers, hockey players, and curlers went to the competitions hoping to medal, but realistically knew their chances were slim-to-none. No one expected the Jamaican bobsled to be on the medal stand (the applause), but many of us enjoyed the story of how hard they worked just to be able compete in the Olympics (the experience) and how the last minute generosity of many allowed them to be there. I feel somewhere over time we shifted from encouraging participation and recognizing there were winners and losers to encouraging participation and everyone receiving a trophy. I frequently hear students make comments about not wanting to take a challenging class because a higher grade could be earned in one less demanding, not wanting to audition for a play because of not being able to have a major role, or not wanting to play a sport unless being guaranteed a starting spot or major playing time. I hope we have not reached a point where many of our young people miss the joy of competing; learning how to do your best is healthy and not walking away with a medal is not losing. During the Games, we witnessed athletes achieve a PR or a PB. These athletes were not in medal contention, but instead, they were competing against the clock, a previous score, or themselves…and in that competition they won! While channel surfing in the evenings, my wife and I sometimes tune in to HGTV’s “House Hunters.” I often think about the number of young couples looking for their dream first home with cavernous bathrooms, granite counter tops in a chef-styled kitchen, and a “man cave.” I do want each couple to have that dream home some day, but I wonder if they are missing out on the experience of having cinder blocks with 1×6 boards as shelves or gathering with friends one night and pooling leftovers because the next paycheck is several days away. Many of the memories we tend to value in later years are of times when we did not have everything we wanted or had to put off getting what we wanted. Some of the greatest gifts are not when we receive the medal, award, or trophy, but when we choose to show up and value the experience over the applause. Back in the 2004 – 2005 school year, I decided that I wanted to start producing an annual school musical. Our Upper School chorus program had started just one year prior and I hadn’t even begun teaching dance as part of the school’s curriculum, but I wanted to increase the number of students participating in drama. I wanted the die-hard drama kid, the athletes, and especially the secret shower singers. I needed them all. Historically, there had only been three musicals at Walker: Fiddler on the Roof (1987)The Man of la Mancha (1988), and The Mystery of Edwin Drood (1990). 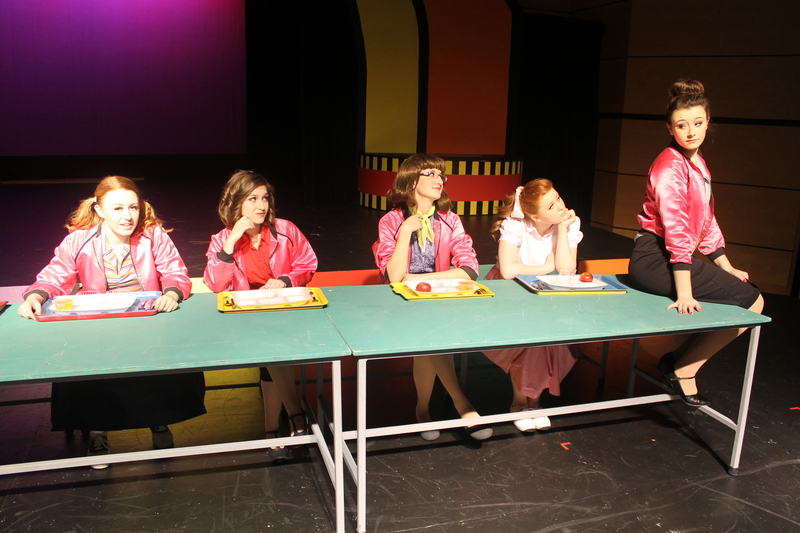 The cast consisted of not only Upper School students, but also parents and faculty members. If I was going to make this work, I was going to have to choose the right fit to set this new tradition in motion. So, what musical did I choose? 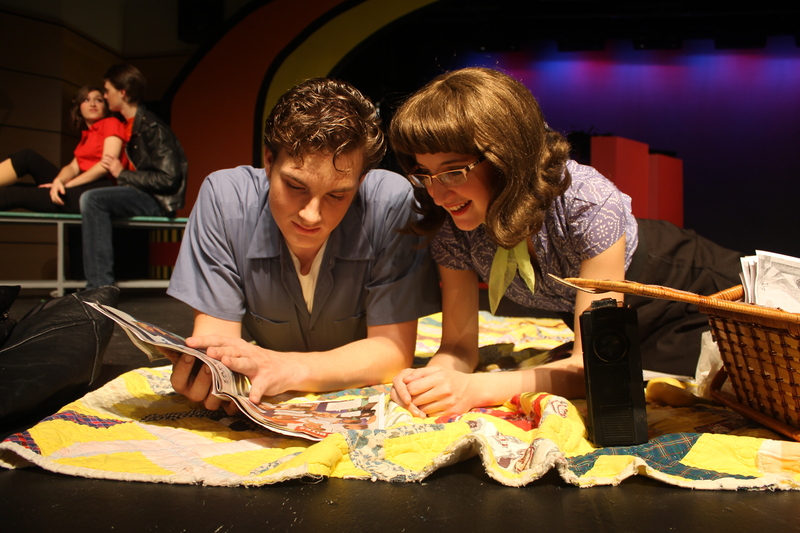 There is not a better or more accessible musical for high school students than Grease. It would certainly generate excitement and interest. I cast almost every student who tried out and those that didn’t make it were on the technical crew. I had two chorus groups: the select chorus which was in a few group numbers because they were participating in cheerleading, swimming, wrestling , and soccer and the main chorus which was in every choral number. I ended up with 33 students in the cast and 12 on the crew, and Mr. Gerace, who began our band program in 2002, had a pit orchestra of six students and faculty. Most of the kids had never even set foot on a stage, let alone sung and danced in front of an audience. What is even crazier is that we only rehearsed for five weeks, which may seem like a long time to some; however, to learn choreography and music for 18 songs, build a set, learn to use a new microphone system, block scenes, learn lines, and create 30 – 40 costumes is unbelievable to me, especially when it is a new experience. I almost have a panic attack now when I think about it. When opening night came, it was exhilarating. Walker audiences were very gracious and enthusiastic, and we had almost 300 people a night at the shows. Those students had the time of their lives on that stage; you could see it on their faces. A new Walker tradition had begun. I promised the students that when we did the tenth musical I would do Grease again and invite them all back, and I stuck to my word. Throughout the last 10 years the one thing that has stayed constant is the fact that the musical is a community event. It is not just an arts event, but a community event. As a matter of fact, as I write this, the cast is preparing to perform for a sold out show. It’s the first time we have sold out the auditorium for the musical. 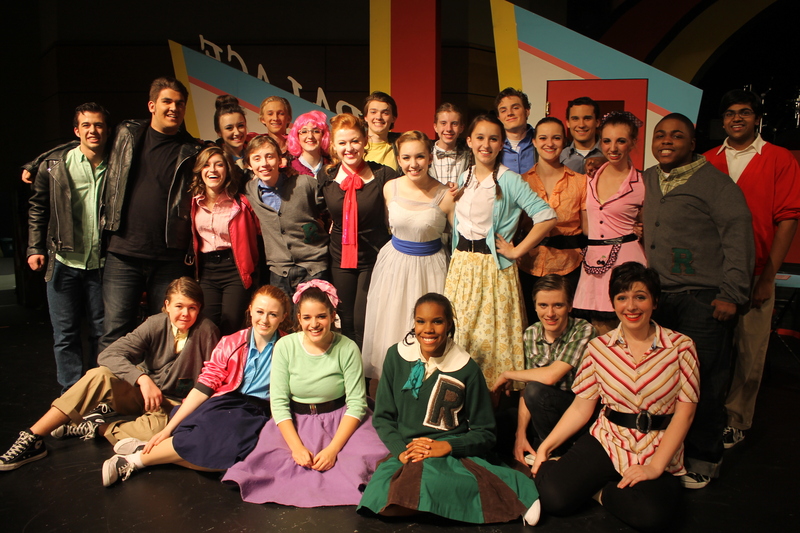 The musical has definitely changed and grown since our first curtain in February of 2005. 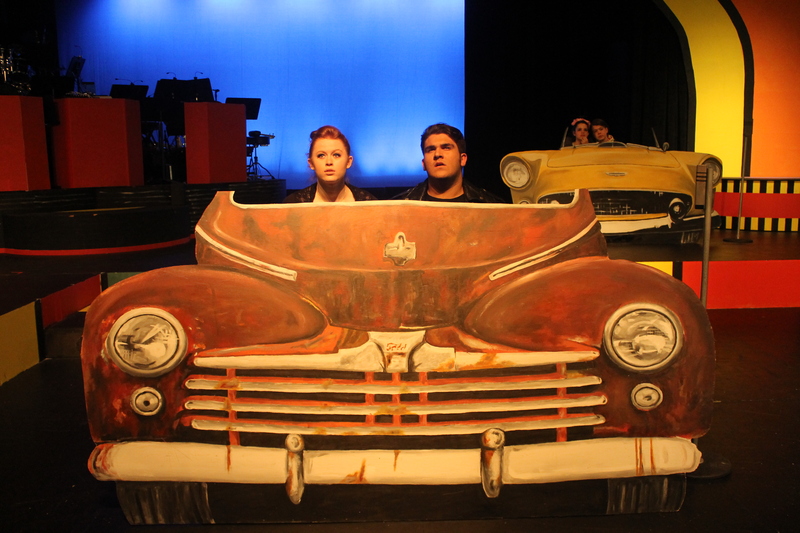 One quarter of the Upper School population is involved in the production. This time around we rehearsed 10 weeks, had 24 students in the cast, 31 students in a stagecraft class constructing the set, 23 students on the crew, 20 scenic painters, 14 in the pit orchestra, and one amazing senior, Travis King, running our new electronic box office. Some of the original cast is returning to see the show, and I am so excited to show them how far we have come since that first production. It’s hard to believe 10 years have already come and gone, but one thing is for certain the musical is here to stay. Hope you didn’t miss this one! As a teenager, the late night news in Oklahoma City started each broadcast with the line “It’s 10 o’clock, do you know where your children are?” My parents could open the bedroom door and see all four boys were there. Given the night time opportunities in Midwest City, Oklahoma during the mid-60’s, we were home and usually in bed or finishing up homework. Social media has taken what once was simple and made it much more difficult. Like my mother and father, parents today still can check the physical presence of a child, but the different social media sites have added a new dimension to knowing “where your children are” or where they have been. In my teenage years, we passed a note intended to be seen by one person who knew the author. Those private handwritten messages have been replaced by much less private communications on Facebook, Twitter, and/or Instagram. Postings to those or similar sites have the potential of being seen by many more people, both known and unknown to the writer, and carry a much, much greater social cost. Here is an article that appeared in The Wall Street Journal on October 4, 2012 titled “Web Profiles Haunt Students.” I hope you will take a moment to read the article and have a teachable moment discussion with your child. Even though the teenage years are when we feel most bulletproof, my fear for each of our students is the ramifications of a poor choice in photo, word, or comment. Today, I Will Choose JOY.